MORGANTOWN, W.Va. (April 23, 2016) – The 2016 ProX ATV Motocross National Championship (ATVMX) presented by CST Tires, an AMA National Championship, continued today, April 23, at the iconic Muddy Creek Raceway in Blountville, Tennessee. With the presence of overcast skies the track shaped up nicely after rain showers the day before. 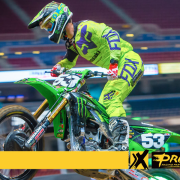 Maxxis/Elka Suspension/Liquid Wrench’s Joel Hetrick was able to quickly adjust to the changing track conditions to take home his first win of the season. As the gate dropped for the first moto it would be Maxxis/Liquid Wrench/Elka Suspension/Honda-backed David Haagsma who jumped out to the early lead ultimately claiming his first SSI Decals Holeshot Award of the season. 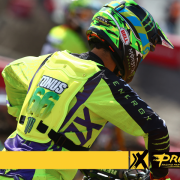 However, it would not take long for his teammate, Hetrick, to make the pass for the lead and earn valuable seconds on the rest of the class. 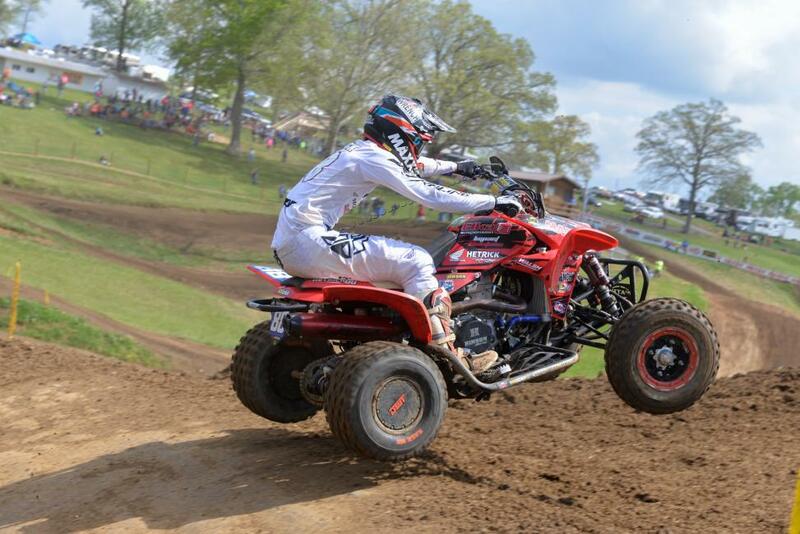 Meanwhile, Wienen Motorsports/Yamaha/Maxxis/SSi Decals/Walsh Racecraft/FLY Racing’s Chad Wienen was busy working his way up from a sixth place start. 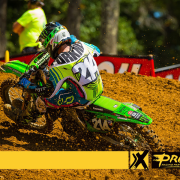 Wienen was able to make quick work on majority of the racers but was set to battle for the second place position with Maxxis/Root River Racing/JB Racing’s Thomas Brown. 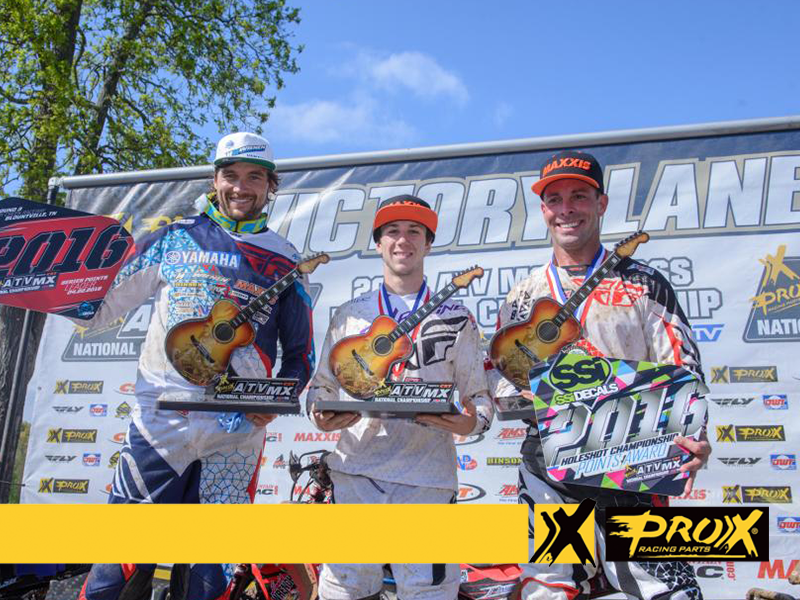 The top three racers consisting of Hetrick, Brown and Wienen were able to pull away from the rest of the pro class by the midway point of the moto. While Hetrick was running his own race, the Texas Native Brown and defending champion Wienen were wheel-to-wheel resulting in some of the best racing thus far in the season. Hetrick encountered a spinout in a turn just after seeing the white flag, allowing Brown and Wienen to catch back up to him creating a three-way-race for the win. 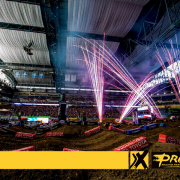 However, the positions would stay the same as they crossed the finish line with Hetrick taking gold in the first moto followed by Brown and Wienen. Once the 30-second card turned sideways and the gate dropped for the second moto there was the familiar face of Maxxis/FLY Racing/Baldwin Motorsports’ John Natalie getting the early lead and earning the second SSI Decals Holeshot Award of the day. 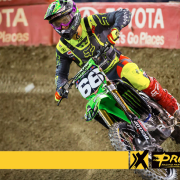 Unfortunately Brown overshot a turn going over a berm early in the race, and by the time he was able to rebound and get back onto the track he had already lost valuable positions needed to find himself on the box at the end of the moto. 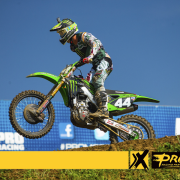 Wienen was able to improve his start position where he sat third as they checked through timing and scoring for the first time. Just like the first moto, the top three racers gapped the rest of the field, but this time there was a different addition to the group. Jeffrey Rastrelli was the second fastest qualifier and the JB Racing/Root River Racing/Gold Speed Tires-backed rider found himself sitting in second during the second moto, until Wienen made the pass in the back rhythm section putting Rastrelli into third. 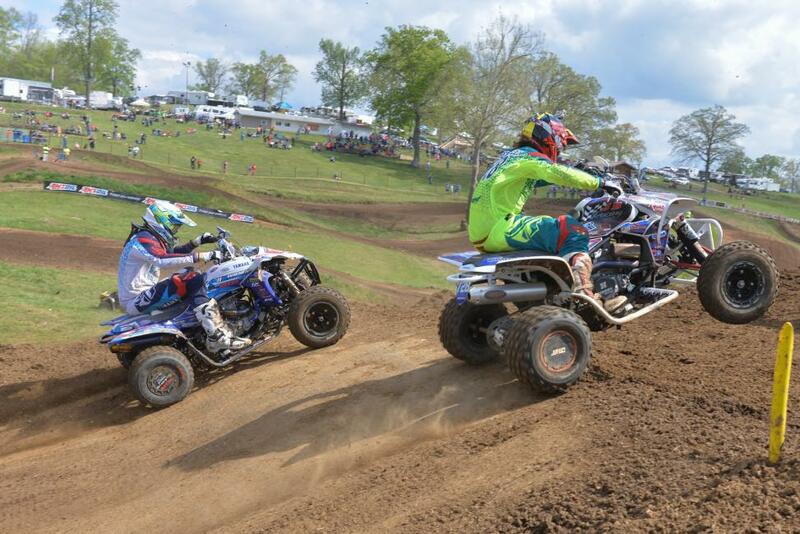 As soon as Wienen moved into the runner-up position, Natalie spun out in the same turn that Hetrick was a victim of during the first moto ultimately giving up the lead to Wienen. Once the Illinois native was out in the clear he was untouchable. Hetrick would start the second moto in fourth, but worked his way past Rastrelli and Natalie for second where his set of 1-2 finishes were good enough to vault him to the top and claim the overall win. 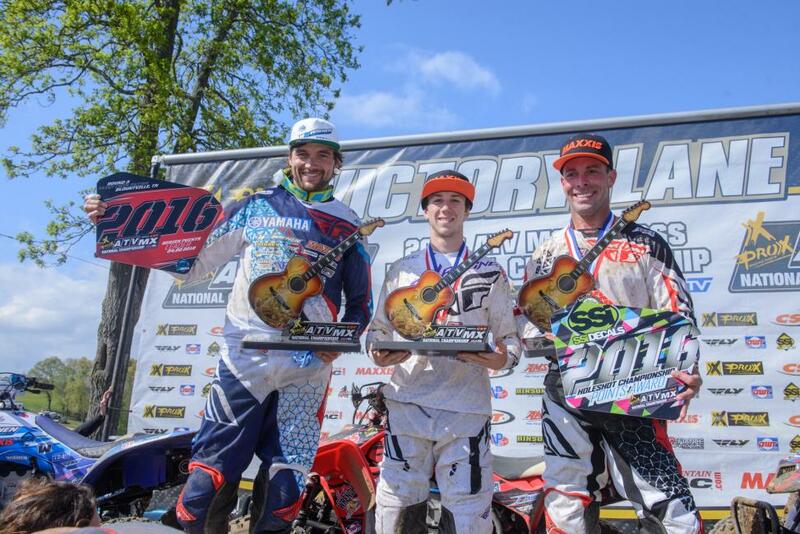 Wienen and Natalie would round out the podium behind Hetrick. Brown would finish just off the podium in fourth, followed by Rastrelli in fifth and Root River Racing/Hoosier Tires/Rage ATV’s Josh Upperman in sixth. 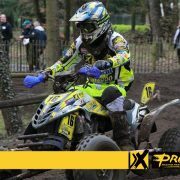 Haagsma grabbed a fifth and eight place which placed him in seventh overall with AGX Designs/Walsh Racecraft/Maxxis-backed Nick Gennusa in eighth. Koster Racing/Blommel Motorsports/Walsh Racecraft’s Brett Musick and Factory Honda’s Joe Byrd finish out the top ten. 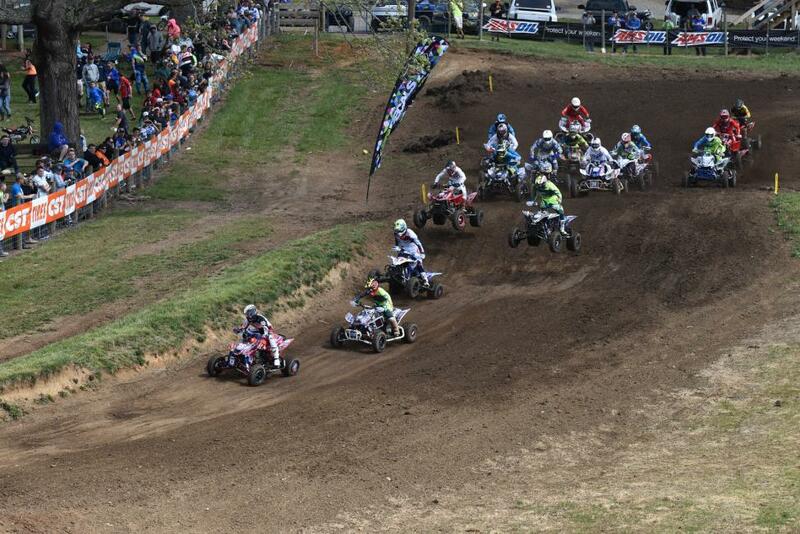 The ATVMX circuit travels to the motorsports crazed town of Crawfordsville, Indiana in two weeks, May 7 and 8, for the Ironman National to be held at the popular Ironman Raceway. 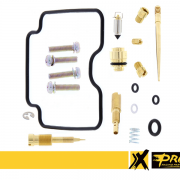 For more information on the 2016 ProX ATV Motocross National Championship, visit the official series website at www.atvmotocross.com. Join the conversation on the series Facebook page, follow on Twitter and Instagram, and be sure to always hashtag #ATVMX and #FasterOnFour.